The Biodegradable Products Institute (BPI) is a non-profit multi-stakeholder organization representing government, industry and academia founded in 1999 to promote the use and recovery of biodegradable materials via composting. BPI has created a “Compostable Logo” which certifies that a product, particularly one made from biodegradable plastic, can be composted. Using results from BPI-approved testing laboratories to substantiate product claims, BPI scientists check compostability data to verify that products meet requirements in ASTM Specifications D6400 (Standard Specification for Labeling of Plastics Designed to Be Aerobically Composted in Municipal or Industrial Facilities) or D6868 (Standard Specification for Labeling of End Items That Incorporate Plastics and Polymers as Coatings or Additives with Paper and Other Substrates Designed to Be Aerobically Composted in Municipal or Industrial Facilities). BPI certification allows consumers, composters, waste haulers, regulators and officials to more easily distinguish products which are designed to biodegrade quickly, completely and safely when composted in a well-run municipal or commercial compost facility. A professional in the cleaning industry can choose to utilize BPI certification standards to specify and source products which have a more environmentally preferable profile. BPI-certified green cleaning products in the categories of plastic liners, napkins and foodservice ware can help a facility reach its overall sustainability goals. For more information on BPI, please visit www.bpiworld.org. WAXIE offers several BPI-certified products from which to choose, including a variety of sizes of compostable bags and napkins, as well as other foodservice ware. 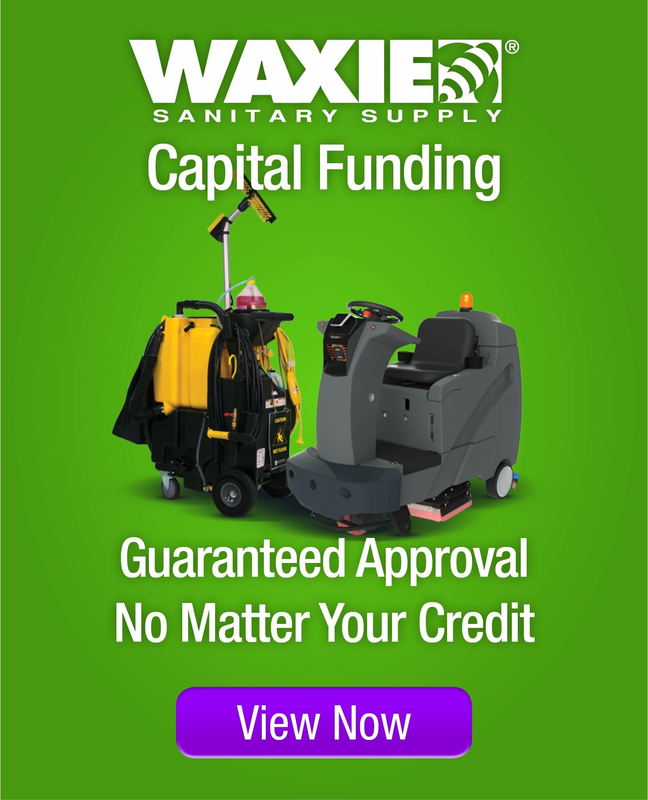 Your WAXIE Sanitary Maintenance Consultant can work with you to design and implement a customized green cleaning program which includes products which are BPI-certified.